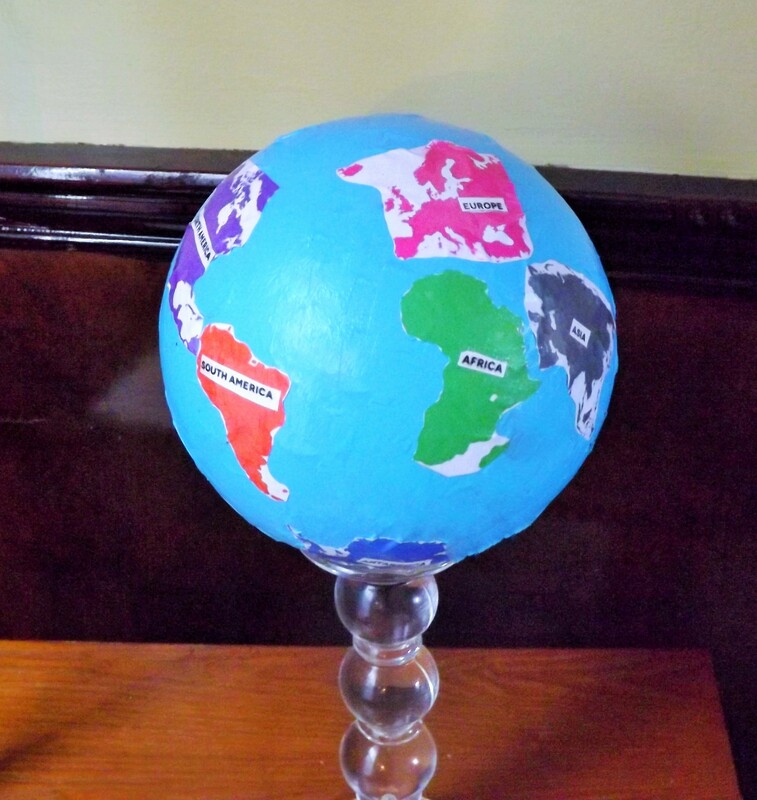 In honor of Earth Day, I made this globe using a ball, paint, sales paper from a dollar store, and Mod Podge. 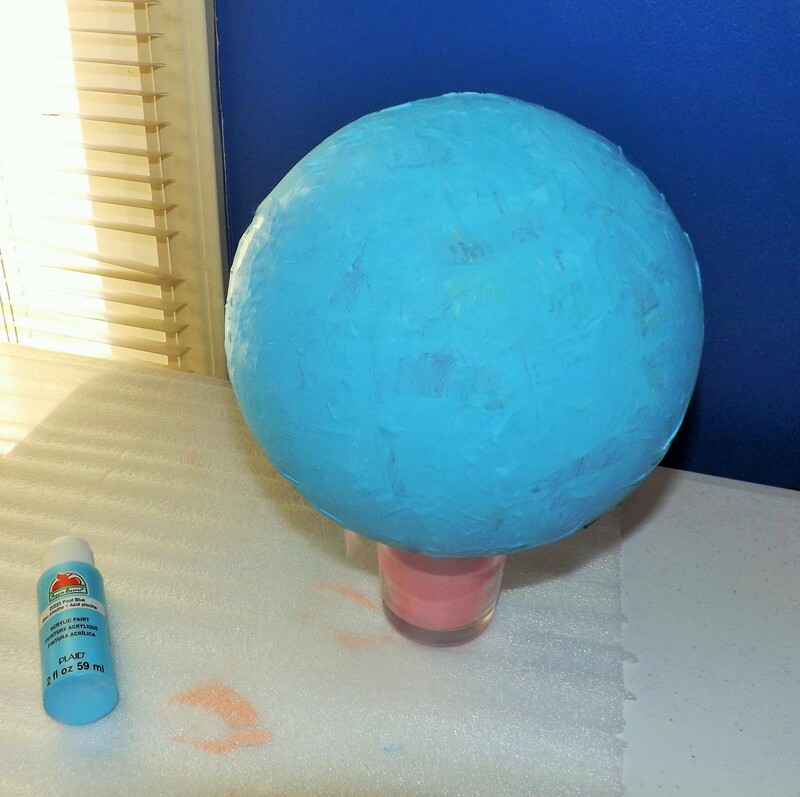 This is a fun and educational craft project that you can do with children. Adults can use this opportunity to teach children about geography, the planets, recycling etc. 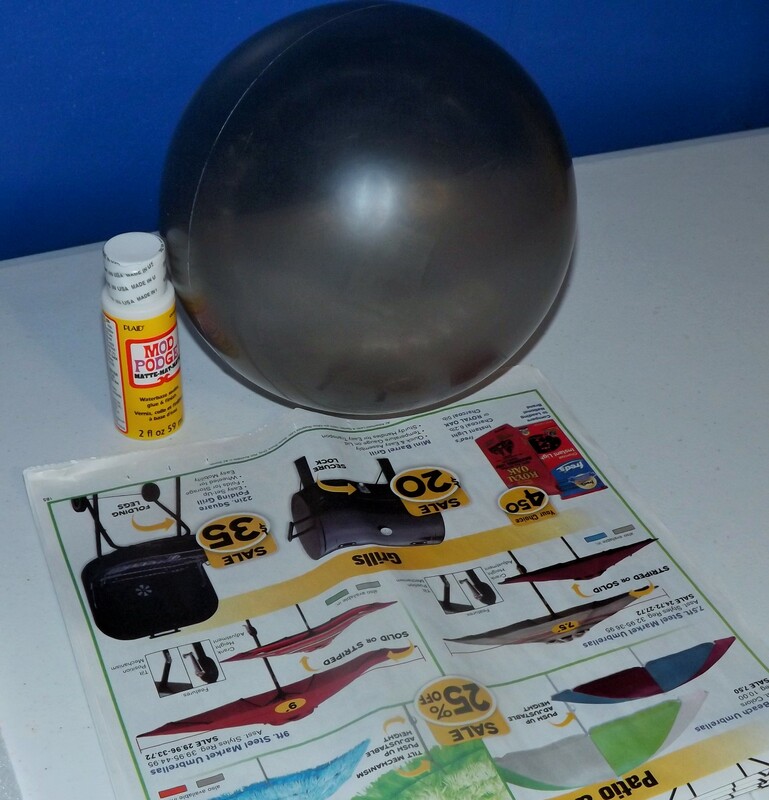 I bought a plastic ball at a dollar store for about $1.50. I also took a stack of their sales papers to use for the project because most of those papers either end up in the trash or all over the parking lots. 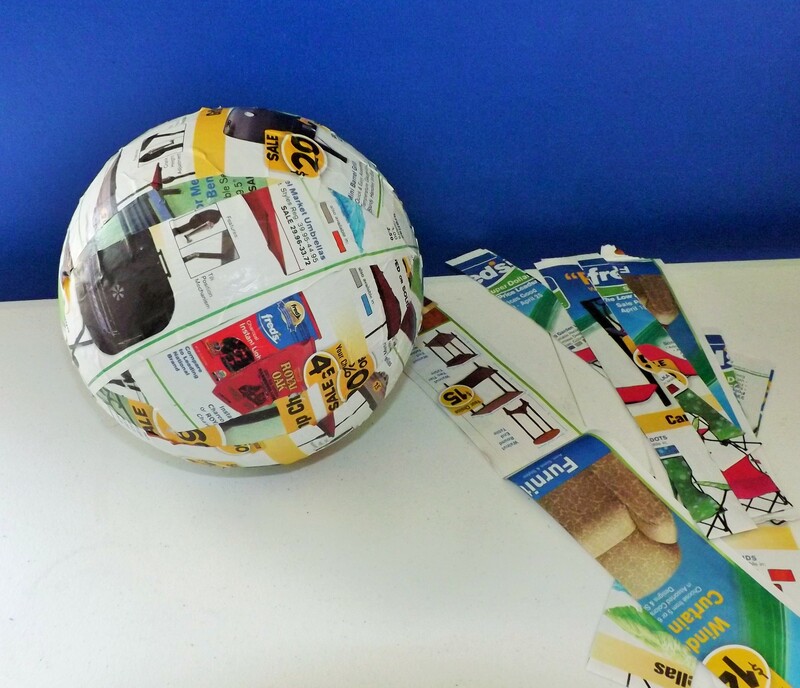 I cut long strips of the paper and began gluing them around the ball using Mod Podge. 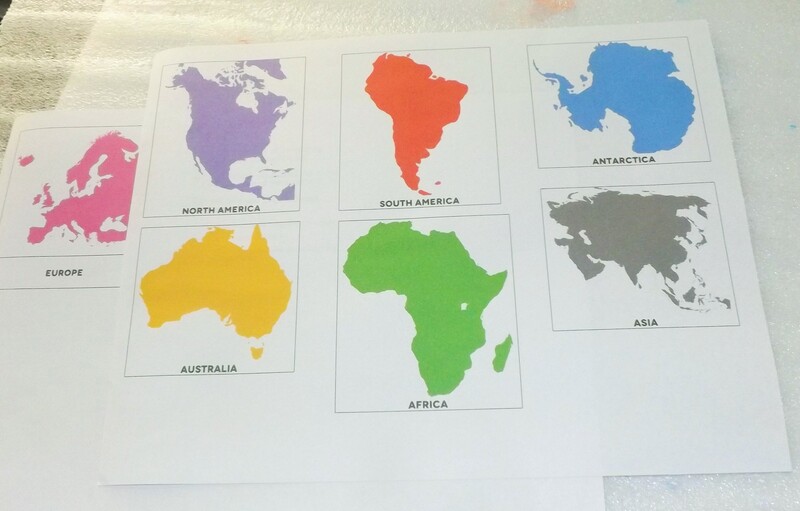 I found this awesome continent printout at terrellfamilyfun.com. 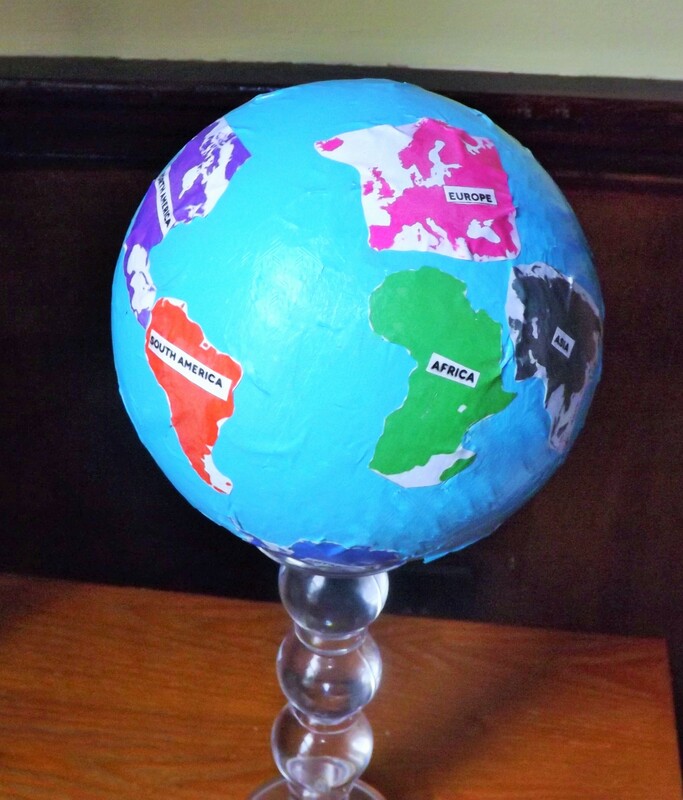 I cut out the continents and glued them on the globe. Finally, I sealed everything together with a coat of Mod Podge. My son couldn’t wait to get his hands on this “globe”! This is great, so much better than buying an expensive globe and just letting the kids rotate it. I did something like this in elementary school. So fun! I love this idea! 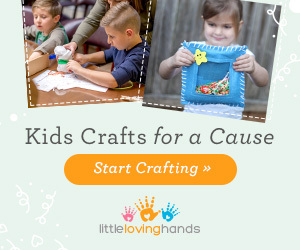 It looks like a fun project for kids to make and love that it’s educational, too!! Pinned!! That is so cool and creative! I think this is a great way to celebrate Earth day, and awesome you son was so excited about it. This is cute! And I think that creating a globe from scratch makes it more personal, which makes a child more likely to be interested in learning more about countries/Earth. How fun, my son would love this! What a great fun project! 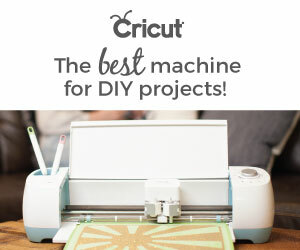 This looks like a great fun project! That is amazing! He can really do some hands-on learning with that, and you don’t have to worry that he will break it! I love this idea. Going to make with my kids. This is such a cute idea. My daughter made one with the plastic beads, but I think I’ll go for this one next time. My kids would love to try this! As learning about the world is in our homeschool curriculum right now, this will be perfect! How cool! My son’s nursery is decorated in maps and globes, I think my 5 year old would love making it for his little brother’s room! Looks like a fun educational project! I love this! I’m pinning for next school year to use for geography. This is so cute! I am seeing it a day late, but saving for next year! this is such a great idea! 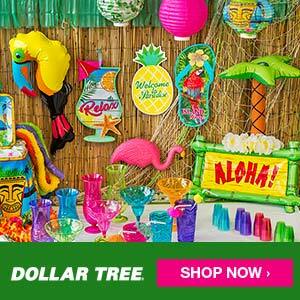 educational, fun, crafty and on a budget…you got my vote! Love it! I think I will do this with my daughter!